Soo cute!! 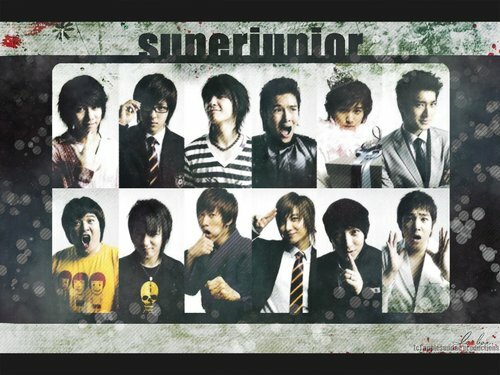 !Super junior is the best!! Sungmin has a feather boa and a crown... wow! I love Super Junior ever!!! They the best actors,singers, & dancers... Wow they are all cute.... Saranghaeyo SuJu!! SuJu you're the Best 4ever!!! Super Junior so cutee... so talented... the very Best ever. Saranghae suju 4ever!!! i like them...they are always look great!AAAAwwwesoooommmmeeeeee!!!!! YOU ALL ARE SOOOOOOOO CUTE!!!!!!!!!!! !SUPER JUNIOR!SUPER JUNIOR!YOU ALL ARE ANGLES TO ME! !SO SWEET..SO CUTE...AND SO HANDSOME! !I LOVE YOU!! !YOU ALL ARE THE BEST!! this is for the attack on the pin-up boys :D Loved that movie!